With so many platforms, apps and integrations to choose from, most people don’t know where to start when it comes to creating a successful website for their business. 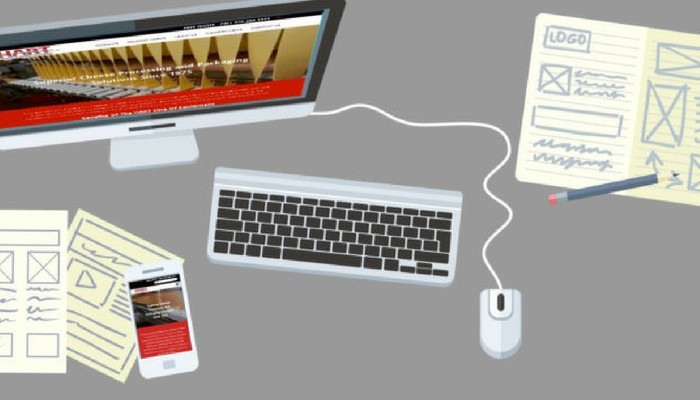 Regardless of the approach, there are six components that every business website should have. Among the first things on your task list is to design a good website. How visitors are able to navigate through your website is a key factor in converting sales. Designers often get carried away with colors, fonts and flashy graphics that might distract from your product and disrupt the flow of your website. The layout must be user-friendly and user-intuitive — it is the individual customer who will make the purchase, after all. Focus on the end goals of high conversions and purchase rates when designing your website. Walk your visitors through the purchasing process, and convert them into paying customers. Regardless of what you are trying to accomplish, whether it is generating leads, making sales or telling a story, catch your visitors’ attention and eliminate any possible distractions that could keep them from moving down the funnel process. Avoid confusing your customers by showing them exactly what you want them to do. Use language like, “Click here”, “Shop now” and “Watch our story.” You would be surprised to find how such frank tactics sway people’s choice to buy. Don’t be afraid to be direct with your call to action. It’s important to establish a connection between your brand and the consumer. A great way to do this is by telling your brand’s story on your website. People love to know who they are buying from, and the authenticity of a story is a perfect bridge. A free research tool to utilize is television infomercials. Now, this doesn’t mean I want you to write in all caps as though you’re yelling through the screen. A great example of people telling their stories and then relating right back to the product is the people on QVC or the Home Shopping Network. Watch how they introduce the product and then cleverly tell a story about how they once took their son to the river and wished they had a product like this at the time. Do your potential online customers have children? Do they remember nice times they had with their families on outings? They likely can identify positive times in their lives that make them think of your product favorably. Share information about the founders, why you started the company and your mission. This allows customers to make a connection to the brand, and in turn creates a sense of trust and familiarity with you and your product. Think of your long-term SEO strategy when building your website so that you can increase your organic search results. Taking the time set up the correct page titles, product descriptions and meta tags can make a huge difference in organic search down the road. One of the most important things you can do is get third-party websites to link back to your website, which helps increase your organic search rankings. Another great strategy is creating a blog. A blog allows you so to write articles surrounding your products or services that will rank on search engines for key terms. Transparency plays a huge role in website conversion rates. One of the best ways to showcase the real people behind the brand is to integrate social media into your website. You can add social media feeds to your homepage or simply link to your social media channels. In an attempt to be professional, companies sometimes sound as though they are run by artificial intelligence bots. Adding fun, relatable copy and daily images from social media helps strengthen brand identity as well as trust. I also recommend displaying positive reviews from your customers on your homepage or your product pages. There are several great apps that you can use to integrate user-generated reviews of your products or services. Having a website that is mobile responsive is the most important thing for a business. If your website traffic is driven by digital marketing, chances are most visitors are on mobile devices. I have personally seen roughly 60% mobile traffic across my websites over the past year. For this reason, it is crucial that your website is optimized for mobile so that you are not missing out on sales opportunities. Remember, your website is supposed to act as a silent salesperson. Walk your visitors through the purchasing process, and convert them into happy, enthusiastic customers. Help guide them down the funnel, and present them with the information, personal stories and brand trustworthiness that they need to make purchasing decisions. There are no guarantees in life, but if you apply these six tips for website success, your brand will be elevated, and the sky will truly be the limit.